It is available in three different variants: plain, light, and green tea. Each product has a shelf life of two weeks from the date of production. 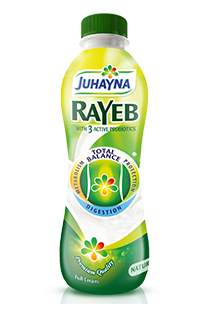 Rayeb’s green tea and light products are available in 220 & 440ml packaging, and Rayeb plain is available in 220 & 440ml and 1 liter packaging. 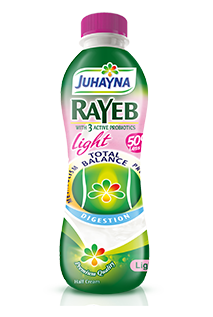 The ideal drinkable yoghurt for better digestion and less flatulence. 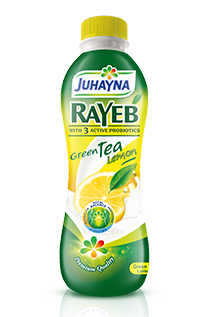 Great taste with a guaranteed regulation of the digestion process , as it combines the benefits of the Rayeb & the Green Tea with the delicious lemon taste. The ideal digestion with 50% less fat. Shelf life 14 days from production date.